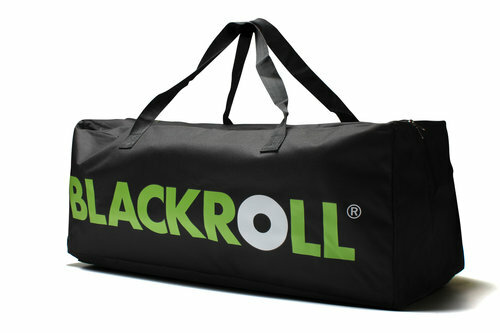 Carrying up to 10 rolls, there's plenty of space inside the Blackroll Trainer Carry Bag. Made especially for transport or storage of multiple Blackroll rollers, the storage area is easily accessed by metal zips running the length of the bag. A great addition for trainers, physiotherapists, or athletes, the carry handles make light work of any load. This bag measures 75cm x 31cm x 27cm.